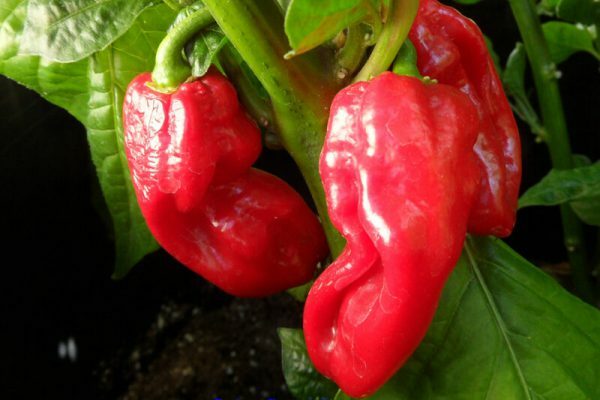 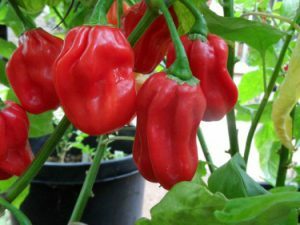 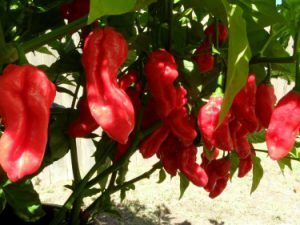 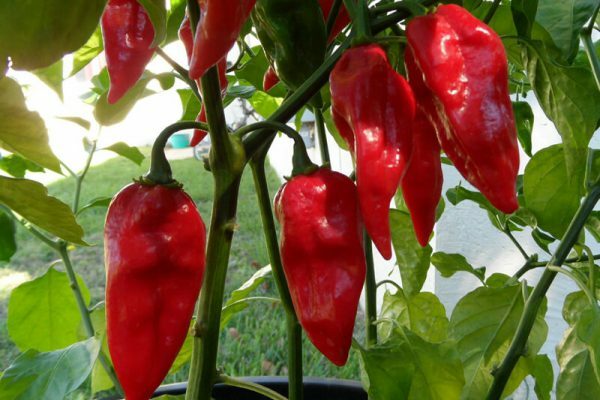 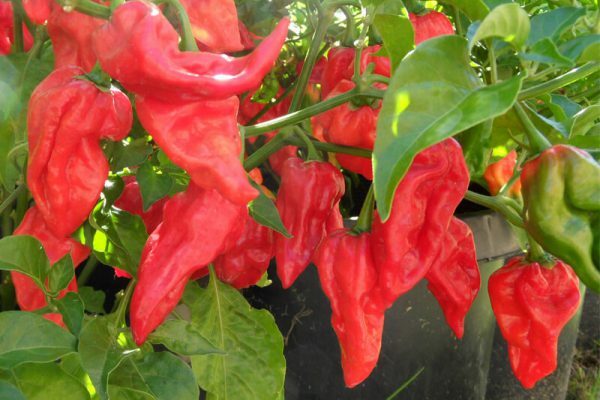 The original Devil’s Tongue is a Yellow variety developed by an Amish farmer in Pennsylvania, U.S.A.. Later on a red variety emerged. 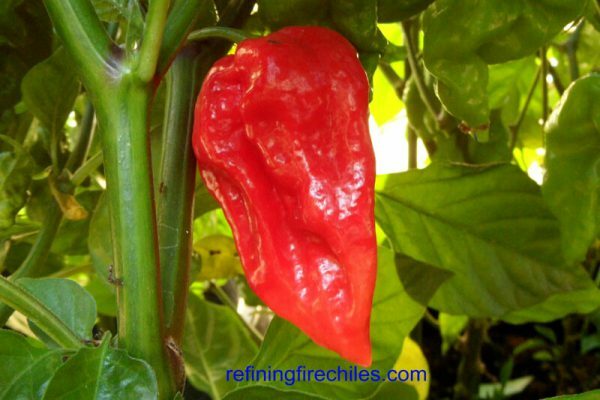 It has a higher heat level than it’s Yellow relative and a totally different flavor. 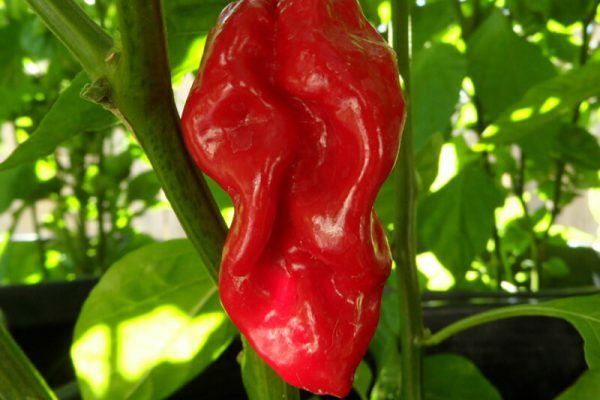 Pods also get wider and larger with a thicker skin. 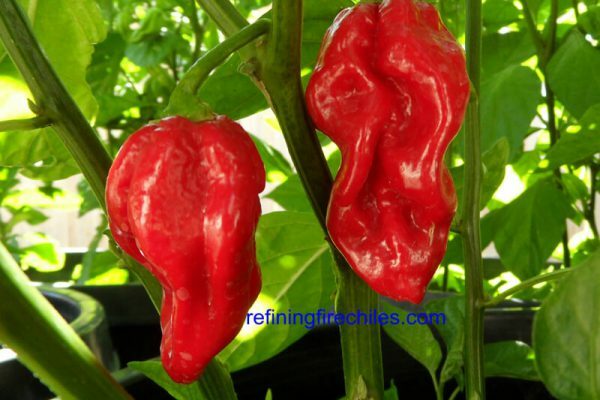 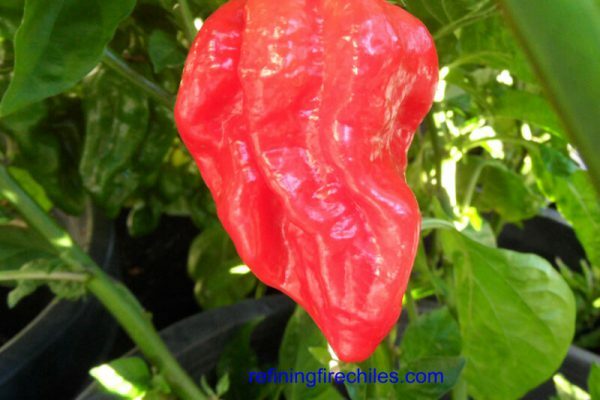 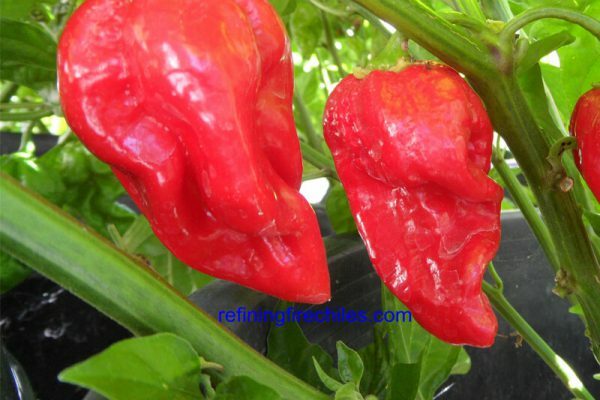 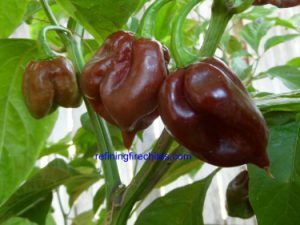 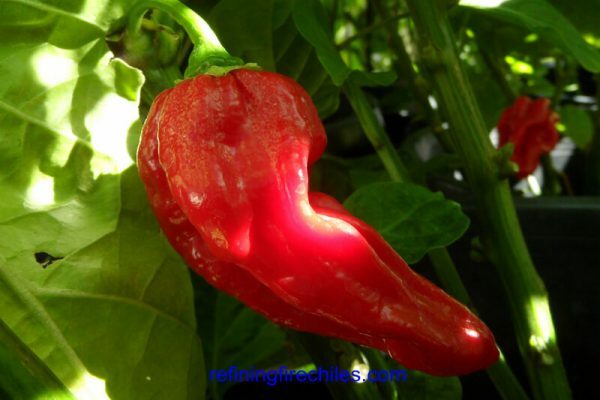 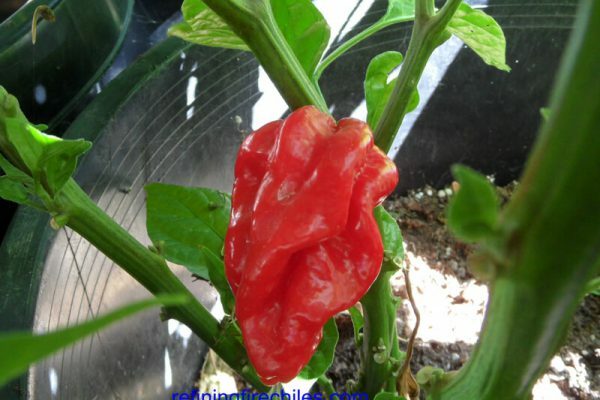 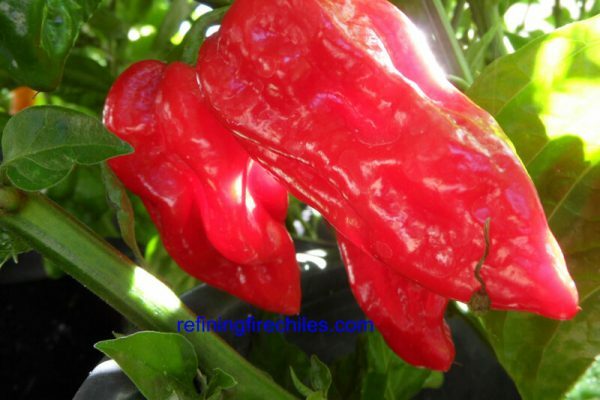 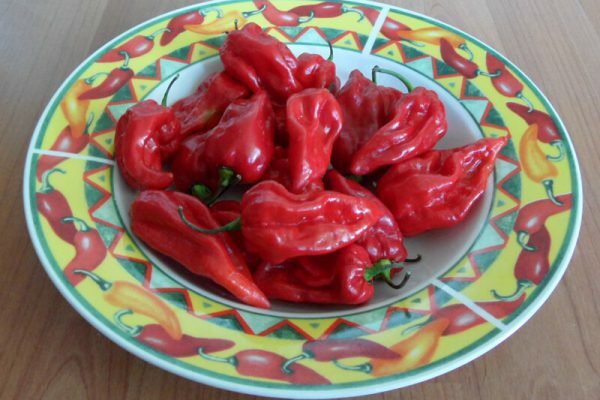 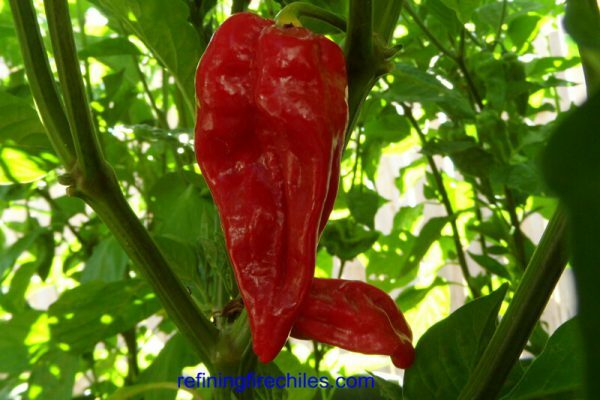 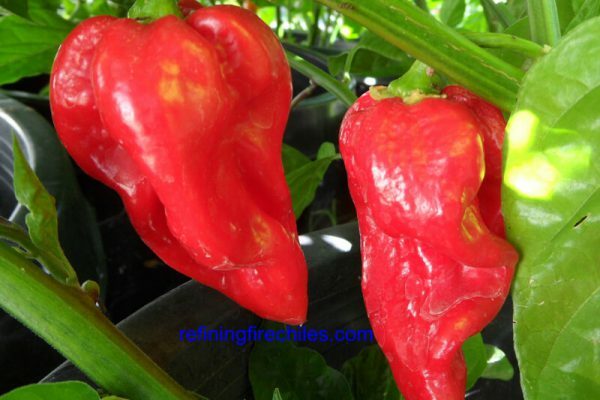 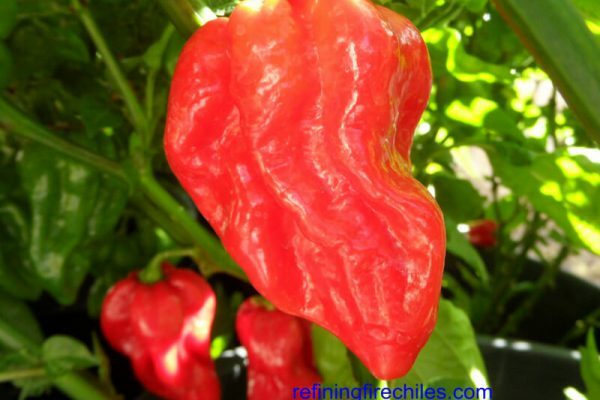 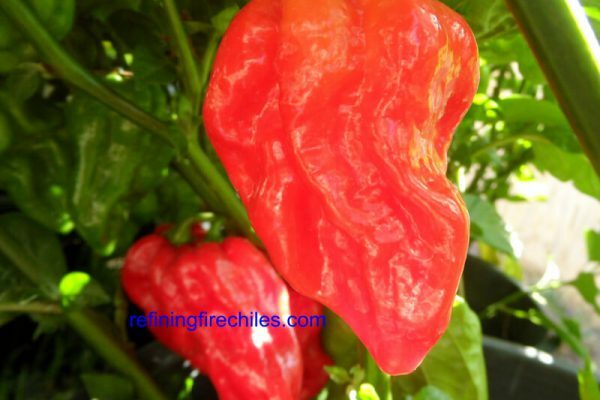 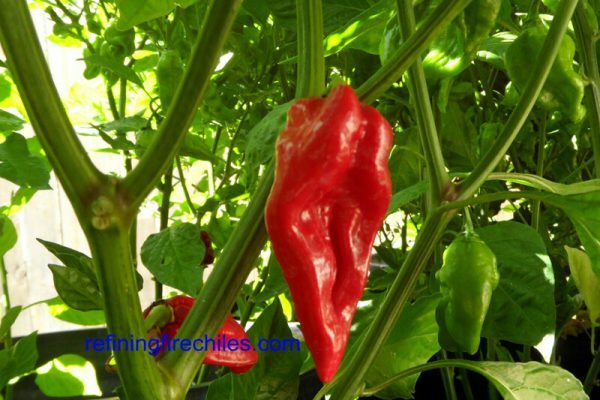 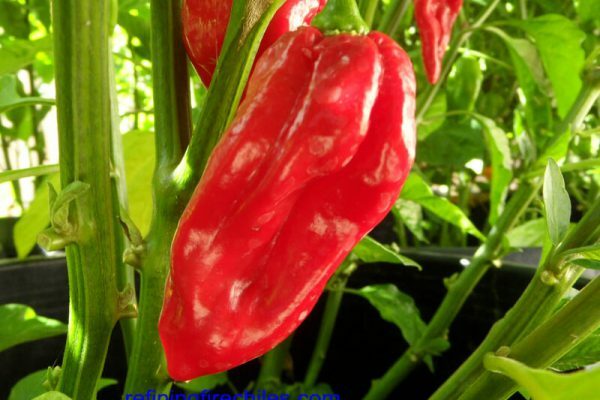 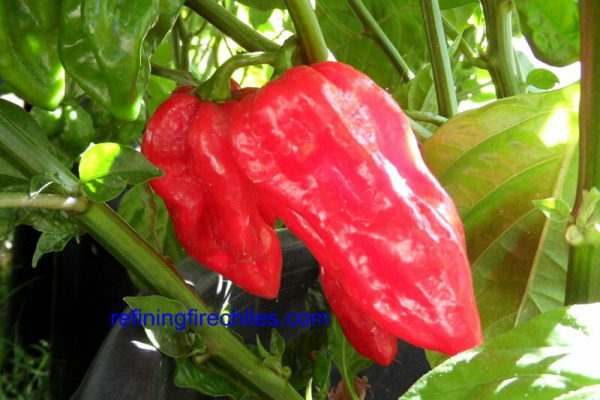 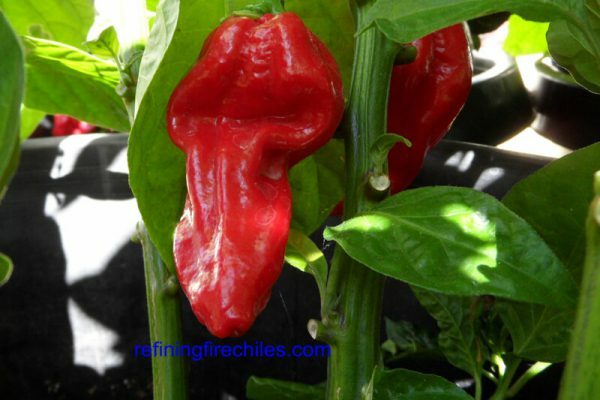 Like the fatalii red this chile came from it’s Yellow relative. 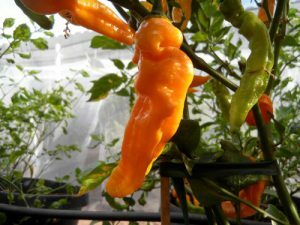 So sometimes will produce Yellow pods and even chocolate pods. 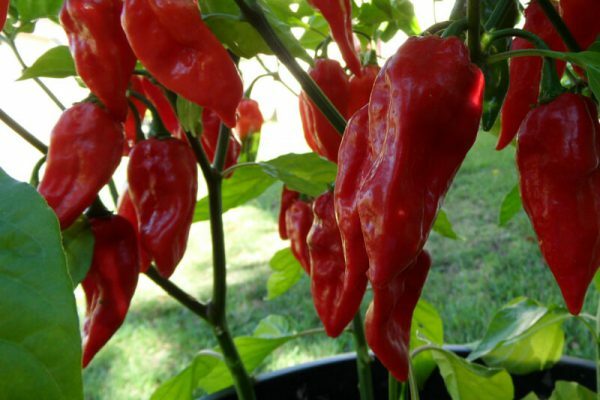 Pods mature from light green to dark red and can get up to 3 inches long. 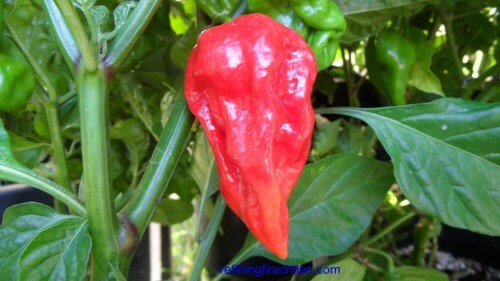 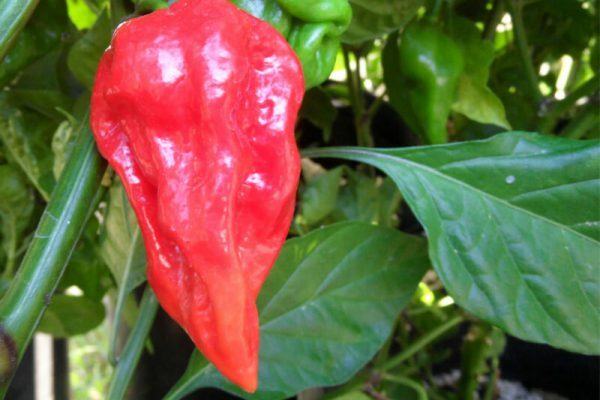 Heat level between 250,000-500,000 Scoville units.